Clubhouse with changing rooms. Pro shop with trolley hire and a driving range on site. 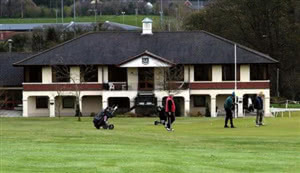 A mature parkland course with excellent views of the Mourne Mountains. The holes are not long, but are tricky. Signature holes are the 6th with its menacing pond and the par 3 10th where playing for a safe 4 is usually the best option.